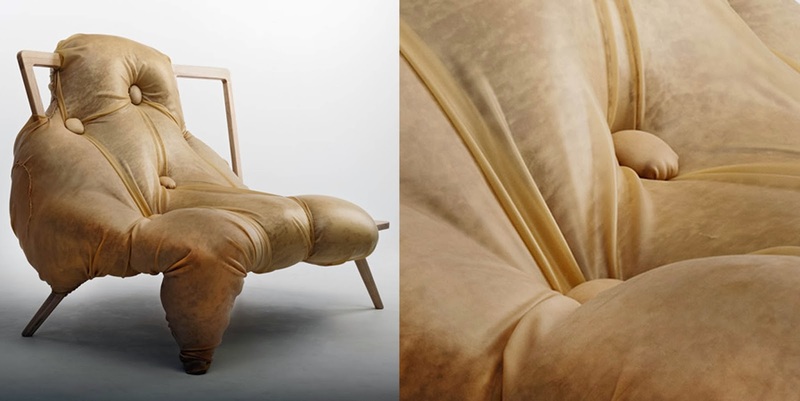 The chair is upholstered in pink velvet and covered in latex sheeting, tufted in bulbous, irregular protrusions. "At One" is a sofa which has been devoured by its obese occupier," says Kingsnorth. "It tells a story of a relationship between a person and their sofa and the evolution of their bond through time spent sitting together. 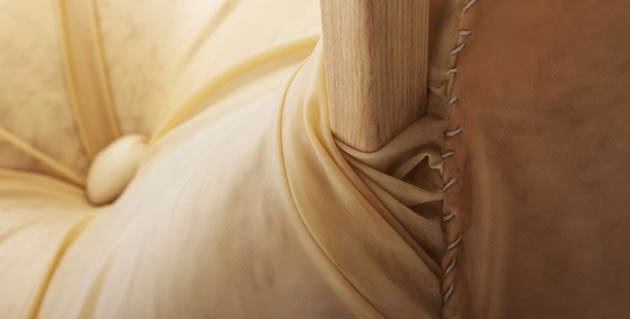 They sit as one, the flesh spills and bulges, enveloping the wooden frame as a marriage of two mediums. The new form is grotesquely beautiful."